While I most often blog about food, I’ve been thinking a lot about doctors lately for family reasons. Thus, the energy that I usually so easily channel into my professional and academic life is at the moment uncontrollably directed into worrying. I’ve been attempting to cope by watching way too much television on Netflix, which has likely exacerbated the situation. In any event, the state of things has caused me to want to share with you a bit about a medical humanities course I once took as an undergraduate at the University of Oklahoma. The course, Literature and Medicine, was co-taught by English professor, Ronald Schleifer, and physician / Medical School professor, Jerry Vannatta, MD. The course examines the relationship of the humanistic study of literature and language with the art and science of medicine through literary and non-literary descriptions and narratives and examines somatic, psychological, scientific and social conceptions of illness and health. Here is where the double meaning of this post’s title comes in. Within the scope of this course, I explored the role of literature in creating symmetrical dialogue between physicians and patients, a role dependent upon novels (as in: an invented prose narrative that is usually long and complex and deals especially with human experience through a usually connected sequence of events) and a novel (as in: new and not resembling something formerly known or used) endeavor. At the heart of medicine is the relationship between the physician and the patient. A successful physician-patient relationship is a healing partnership in which each individual accepts mutual responsibility in the care process and is, in turn, treated with dignity and respect. 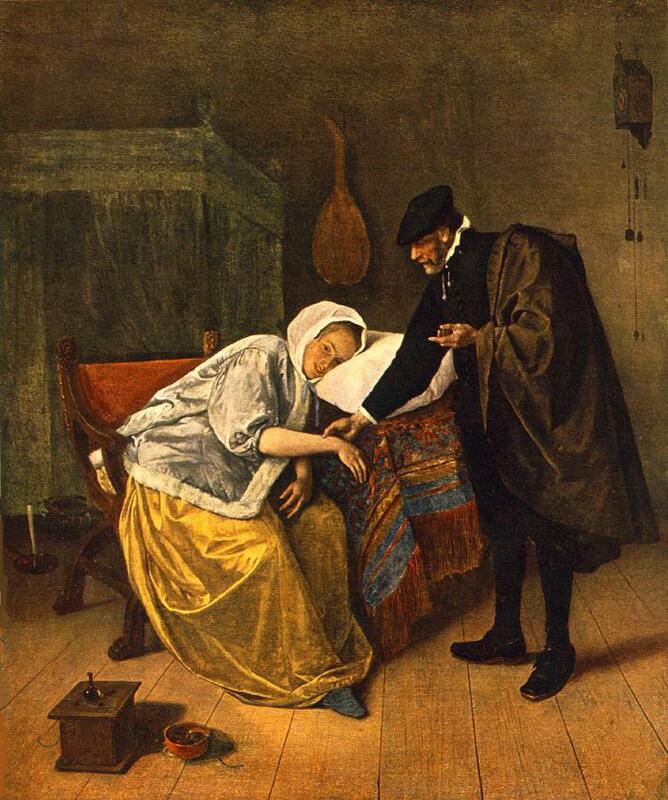 This relationship is manifested in the dialogue between physician and patient. If this conversation is unbalanced, the relationship suffers, and consequently, the patient may not receive the best medical treatment. Despite the different roles, skills, knowledge, and resources of each party, the successful physician-patient relationship is one of essential equality based on the belief that we are all human and equal at a fundamental level. This belief in a common humanity fuels the respectful dialogue between physician and patient that yields the best possible care. Furthermore, through exposure to literature, the physician’s ability to communicate and his capacity to understand his patient are enhanced to the degree that the inherent imbalance of power that may be present at the onset of the relationship, fades away. Literature is, in and of itself, a dialogue between the writer and reader that passes on dialogic knowledge and experience. Within the physician-patient relationship, literature has a transforming power by providing examples of poor relationships, warning of the harm they cause, and by providing examples of ideal relationships that teach and inspire. For this reason, literature is a unique teaching tool for creating better physicians because it both is a dialogue and presents examples of dialogue. A trusting relationship is fostered between the physician and the patient through the enlightened dialogue represented in and stimulated by literature, which yields benefits for both parties.